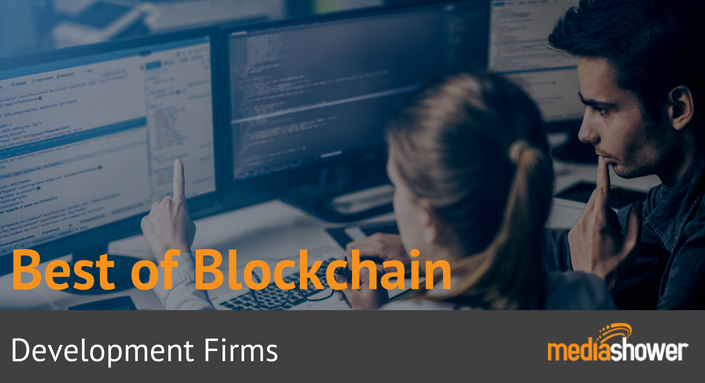 We’ve researched and compiled an exhaustive list of the best Blockchain Development Firms for your blockchain project. To request an update to your listing or a review of your site for inclusion, please contact us contact us. Altoros Using the Cloud Foundry ecosystem, Altoros integrates software assembly lines into large organizations. The company offers turnkey solutions that allow clients to apply blockchain technology within their industry to increase transparency, prevent fraud, and improve the customer experience. Altoros is located in Sunnyvale, California, and has experience in highly regulated industries like finance. intellectsoft Intellectsoft Blockchain Lab creates enterprise-grade blockchain solutions and custom blockchain development services. The company’s blockchain experts bring security and mobility to enterprises using the latest in distributed ledger technologies, smart contracts, and identity solutions. Established in 2007, the company has over 200 full-time developers and offices in five countries. itransition Blockchain application development is the core business function of itransition. The company started by creating a trading desk tool to integrate to-the-minute information from Bitfinex, Bitstamp, and Kraken. Blockchain development, ICO development, cryptocurrency, and smart contracts are also areas of expertise for the company, with the goal of satisfying demand for digital transformation. OpenXcell OpenXcell’s expanded services include blockchain development, smart contracts, hyperledgers, supply chain blockchain, and crypto-wallets. The company helps its clients keep up with business demands and streamline business processes. Clients have included Google, Motorola, Unilever, and Conagra, and the company was established in 2008. It currently has offices in Sunnyvale, California, and Ahmedabad, India. Code Brew Labs Code Brew Labs began with a team of four developers and now has over 200 code developers and designers. Established in 2013, the company creates solutions that maximize return on investment for businesses of all sizes. Code Brew Labs has offices in the USA, Mexico, Dubai, and India, and refuses to take shortcuts in the pursuit of excellence. Consagous Technologies Consagous Technologies provides blockchain application and development as well as wallet integration in mobile apps. The company offers a complete suite of technical support and consulting, helping clients leverage distributed ledger technology and blockchain technology. Their goal is to offer all IT solutions under one roof for businesses of all sizes. eleks Eleks helps businesses from around the world adopt blockchain and create new business models that outperform competitors. Clients include financial and banking organizations, retailers, logistics and healthcare firms and more. The company helps businesses cut transaction costs, optimize financial operations, and enhance security. Eleks is located in Las Vegas with sales offices around the world. eliNext Elinextprovides custom software development and IT-consulting with a strong focus on delivering full cycle software development services: specification development, architecture planning, requirements analysis, coding, testing, integration and product support. Prolitus Prolitus invests in blockchain technology, AI machine learning, and the internet of things. It also offers ERP solutions that have been adopted by companies around the world to enhance productivity. Founded in 2005, Prolitus’ vision is to master business needs and provide complete IT solutions to its clients for speedy growth. 10Clouds Operated by blockchain developers and designers, 10Clouds helps companies launch ICOs, write smart contracts, and decentralized apps. In addition, the company provides development and design for both web and mobile apps, as well as UX design, machine learning design, and design for the internet of things. It has offices in Warsaw, Poland, and Atlanta, USA. Bitfury Bitfury is one of the largest private infrastructure providers in today’s blockchain ecosystem. The company develops and delivers software and hardware solutions for businesses, governments, and other organizations and individuals to move assets using blockchain technology. The company’s goal is easy, fast, secure, and cost-effective connectivity using blockchain. Debut Infotech Debut Infotech specializes in value creation using blockchain technology. Their goal is to make all transactions decentralized while providing a seamless experience end to end. Established in 2011, Debut Infotech began in Mohali, India and now has strategic alliance offices in the USA. Their goal is to make the world both simpler and smarter, where everything works smoothly. LeewayHertz LeewayHertz focuses on blockchain, AI, mobile apps, the internet of things, and cloud platforms and creates end-to-end solutions for clients. Its marketing growth hack team helps companies reach their potential and acquire millions of users for B2C platforms. Clients have included the US Army, ESPN, P&G, 3M, Siemens, Hershey’s, and Budweiser. Sphinx Solutions Sphinx Solutions consists of a team of blockchain developers with experience in the full development stack, to ensure clients that their private blockchain development works as intended. Providing blockchain development, smart contracts, front-end mobile apps, and graphic design, the company has helped clients develop wallets, hyperledgers, Bitcoin apps, and private blockchain applications. Unicsoft Unicsoft, an innovative technology boutique firm, offers software products powered by blockchain and AI technologies for enterprises and startups. The company employs more than 100 people who know how to drive digital transformation for its clients. Since 2005, Unicsoft has helped client companies significantly boost their growth and has established relationships in the USA, UK, Germany, and Israel. Chain Chain creates cryptographic ledger systems for the financial services industry . The company has raised over $40 million in venture capital since being founded in 2014 and has customers that include market leaders like Nasdaq, Visa, and Citigroup. The company also works with startups that want to build novel financial products. TechRacers TechRacers offers proven blockchain solutions to businesses in a timely manner to maximize client return on investment. The company is based in Lehi, Utah (aka the “Silicon Slopes” region). Founded in 2012 by a team of engineers from India, the company has experienced rapid growth and expansion, and now offers services to clients around the world. VironIT VironIT has experience in developing a wide range of secure applications and offers blockchain development services to help businesses with blockchain adoption. With the power of tools like IBM Hyperledger, smart contracts, and mobile apps, VironIT helps clients gain a competitive advantage with greater clarity and efficiency. The company is based in Pune, Maharashtra, India. AgileLab Based in Singapore and Vietnam, AgileLab is a web development company specializing in developing custom web applications and websites with agile processes. The company was established in 2005 and today is helping clients use blockchain technology to streamline operations and payments. This allows clients to improve efficiency and facilitate collaboration without intermediaries. ValueCoders Founded in 2004, ValueCoders offers IT outsourcing services throughout the world. With over 450 experienced software professionals, the company knows how to yield high-quality solutions that add value to businesses. It works with startups, enterprises, and everything in between, including government agencies, helping them meet their unique technology requirements. Venture Aviator Venture Aviator helps companies develop blockchain application technology by finding or building the right blockchain for client needs. The goal of Venture Aviator is to take care of blockchain application development so that clients can focus on their own core business processes, and can tailor blockchain development to many different business models, including ICOs. Blockchangers Located in Norway, Blockchanger is the country’s leading blockchain technology provider, helping client companies understand and utilize blockchain. The company specializes in advisory services, workshops, and developing proof of concepts for clients. They have also developed their own technologies, like a cross-game economic platform, and is geared toward developing new blockchain applications. Max!lect Maxilect builds blockchain solutions for the financial and insurance industries, as well as logistics and real estate. Their goals include standalone or subcontracted solutions for clients, development and support of existing in-house systems, and sharing their expertise in quality control and automation testing. The company is located in St. Petersburg, Russia, and is geared toward helping startups. Lannister Development Lannister development creates customized blockchain technology for the future of business, helping companies revolutionize their businesses with tactical, agile development across industries. Goals for clients include cutting transaction costs, reducing human error, solving real-world productivity bottlenecks, creating security tokens, and offering cloud integrations and development. Minddeft Minddeft is a service provider with extensive experience in web design and development, including enterprise portals and blockchain development. The company brings multi-disciplinary experience to constructing web-based and mobile-based blockchain applications to assist clients with their secure content distribution. They also have extensive knowledge of cryptocurrency and smart contracts. Suhrad InfoTech Suhrad InfoTech is a premium software development agency with presences in India and the US. Their focus is on website, software, and mobile application development, and they also provide blockchain as a service. Blockchain related services include blockchain development, smart contracts, hyperledgers, wallets, crowdsales, and cryptocurrency exchanges. Blockobi Blockobi is a blockchain development house located in Dubai. The company specializes in full-stack blockchain technology, as well as sales and marketing. Blockobi focuses on building blockchain assets for its client businesses, and creates blockchain tools, smart contracts, and hyperledgers, as well as providing pre-ICO services and ICO rollouts. Level K Level K creates decentralized apps, including smart contract development and smart contract auditing. The company specializes in Ethereum development and helps clients design and build decentralized apps and smart contracts that function as they should. They also provide whitepaper technical architecture consulting to help clients articulate their goals and aims.